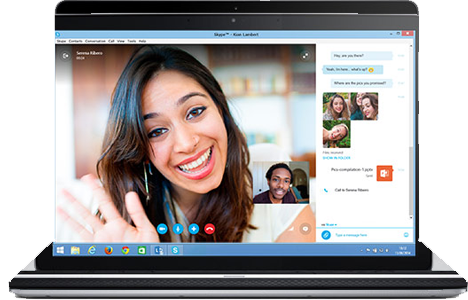 If you like to chat, work and do a lot more on your PC, then Skype for Windows desktop is the most powerful version for you. Chat every day with free instant messages. Share photos and see them inline, right in the chat. See your family come together over a free group video call. Switch between calling and messages--or do both at the same time. Make low-cost calls and text messages to mobiles and landlines. connection of 512kbps down / 128kbps up and a computer with a 1 GHz processor.